OXFORD, Miss. 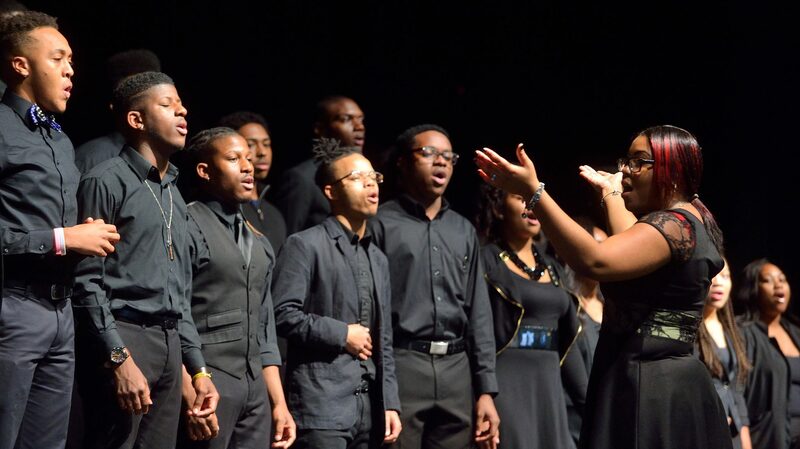 – The University of Mississippi Gospel Choir will host its annual fall concert at 7 p.m. Saturday (Nov. 10) in Nutt Auditorium. Free and open to the public, the concert will feature a number of special guests, including the Coahoma Community College Gospel Choir and the Rev. LaDarrell James. This year’s concert is particularly notable, as it marks the 45th anniversary of the Gospel Choir on campus, said Jarrius Adams, the choir’s president. “I am overjoyed to celebrate (the choir’s) 45th year at the University of Mississippi,” Adams said. “I think it symbolizes longevity and the foundation that our founder, Linda Taylor, laid back in 1974. Though the public can expect enthusiastic and dynamic performances throughout the entire show, Adams pointed to one moment that he thinks will be particularly poignant. For more information about the UM Gospel Choir, visit http://dos.orgsync.com/org/umgc/home or UM Gospel Choir on Facebook or email umgospelchoir@gmail.com.